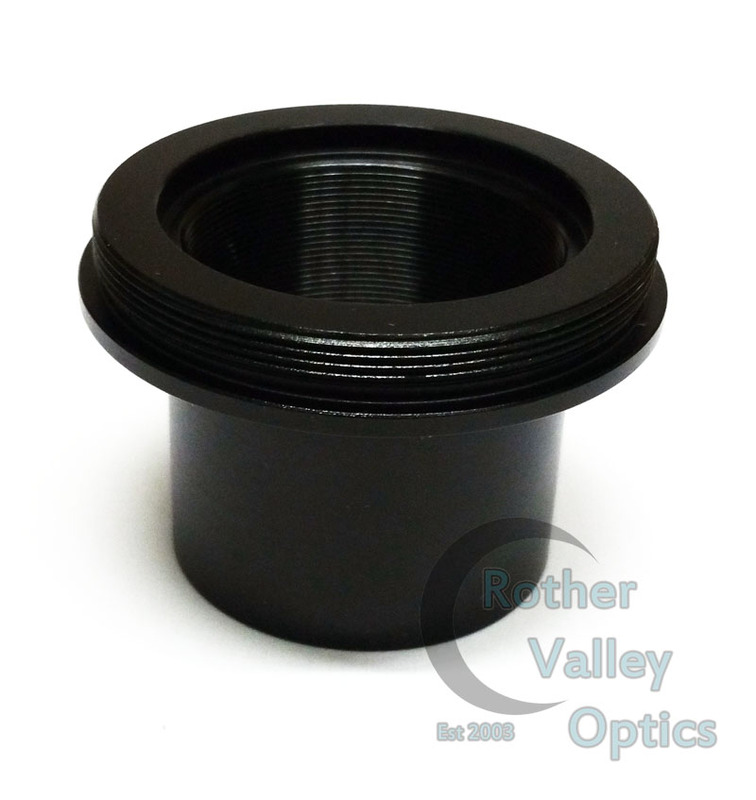 Rother Valley Optics T2 Nosepiece Adaptor 1.25"
This handy adaptor pushes into any 1.25" eyepiece holder and then gives you T thread on the other side. All you need is the T mount for your camera, and then your SLR is connected directly to your scope. These adaptors are also filter threaded to incorporate useful filters to the optical path. A very useful low cost adaptor to get you started in astrophotography.